If you’re craving dinner off the grill, but would rather someone else cook it, you’re in luck! Elk Grove has you covered with a wide variety of burger joint options to feed your charbroiled cravings. Whether you’re in the mood for a classic burger or a customized creation, here are a few choices. Elk Grove’s newest burger joint caters to every burger preference, with 2.8-ounce patties made from almost every type of meat imaginable. Diners can choose from a Spanish beef, dry aged beef, spicy beef, veggie, lamb, falafel, salmon, turkey or chicken patty and customize their burger with seemingly-endless topping options like a fried egg, mushrooms or jalapeños. Feeding a small army? 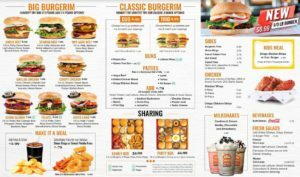 Burgerim offers a “family box” that comes with 8 burgers, 8 wings, fries and onion rings and a “party box” that comes with 16 burgers. Burgerim is having a grand opening on Sunday, March 31, and launching a new menu , which is below. A West Coast classic, In-N-Out serves up convenience along with fresh flavors. All menu items are made upon ordering, and the restaurant prides itself on using the made-to-order local ingredients in favorites like the Double Double and hand-cut fries. If you’re feeling a little wild, order an “animal style” burger or fries off their not-so-secret secret menu. 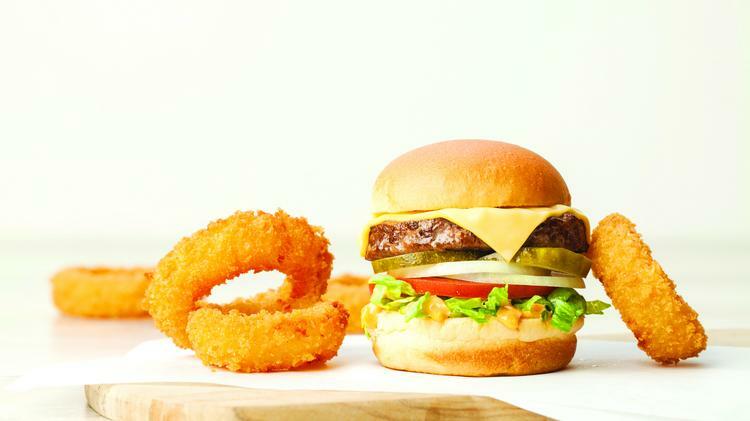 You’ll get a medley of flavors added to your order like melted cheese, grilled onions and a secret sauce. The Habit’s claim to burger fame is their “charburger” creations like the Teriyaki Charburger with grilled pineapple and teriyaki sauce and their Santa Barbara Charburger with avocado on a grilled sourdough bun. They are also known for their impressive menu of creative sides and healthy salads. Habit enthusiasts go crazy for their tempura green beans and sweet potato fries, and their hand-crafted shakes and malts are a sweet way to end your meal. You haven’t truly experienced a burger until you’ve experienced a burger on an egg bun. Smash Burger’s infamous Classic Smashburger piles lettuce, tomato, American cheese, Smash Sauce and ketchup on top of a black bean, beef or turkey burger. Fans of Smash Burger often pair this featured menu item with Smashfries tossed in rosemary, garlic and olive oil. Five Guys doesn’t take shortcuts when it comes to their ingredients. From their double-patty burgers to their freshly-cut potatoes, they pride themselves on hand-prepared menu items full of flavor. While they’re most known for their menu items of beef variety, they also grill up hot dogs and serve up sandwiches like their veggie and grilled cheese sandwiches. Is your mouth drooling yet? Next time you’re craving a burger, stop in one of these great places.